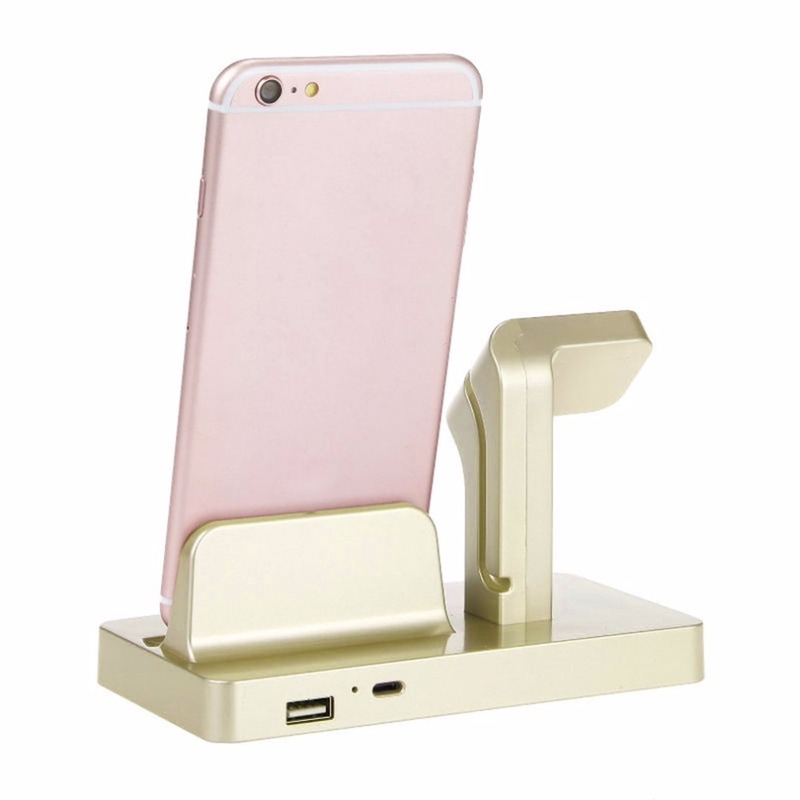 Of small size, it is lightweight and portable, easy to carry around. 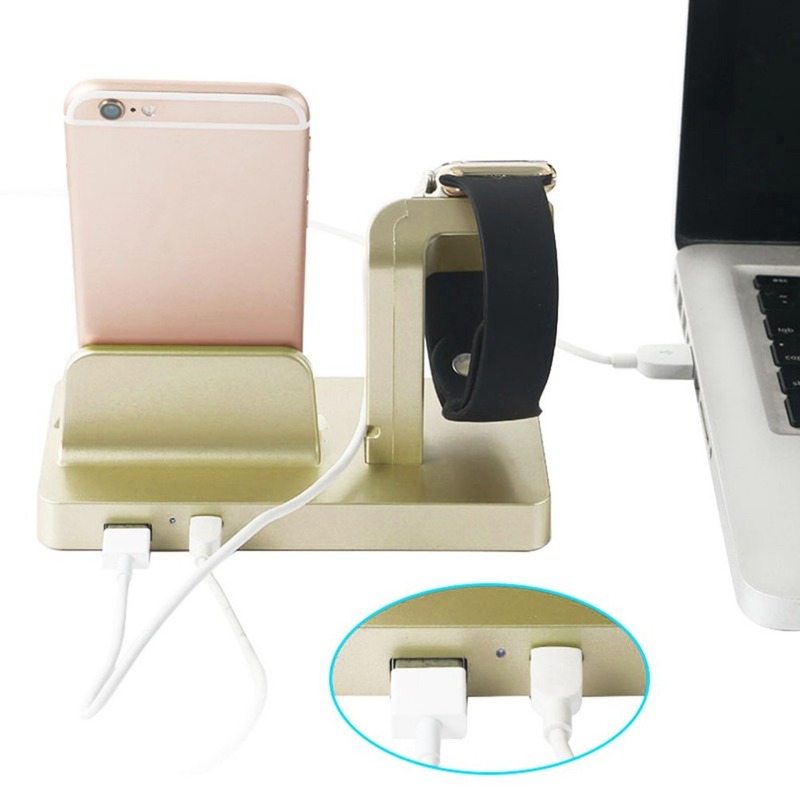 Available for office, home, car, etc.. make it more convenient and easier to charge. 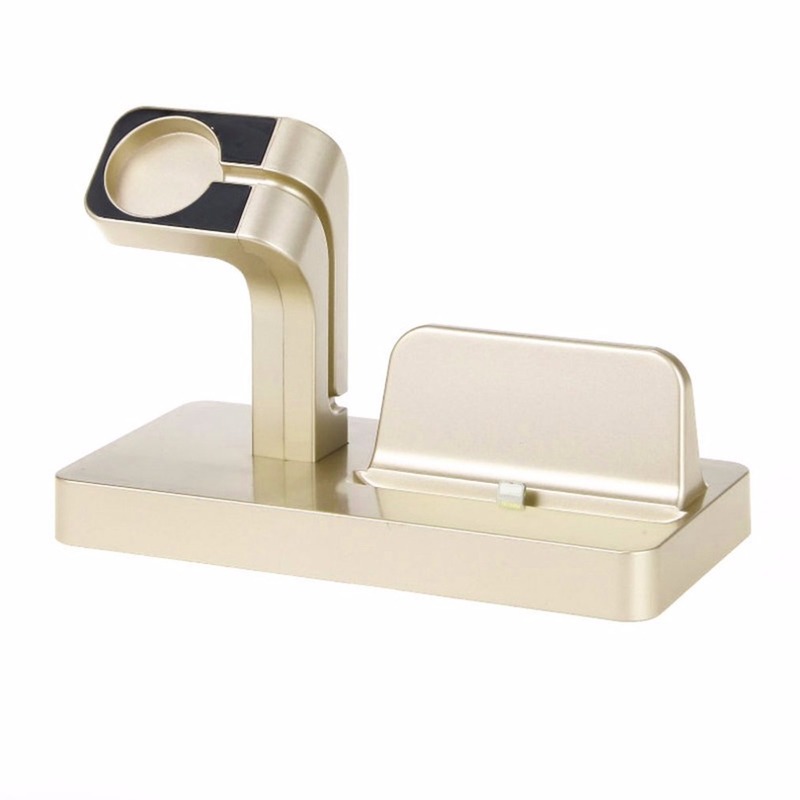 Compatible with for Apple Watch For iPhone 6 for iphone 6 plus for iPhone 6s for iPhone 6s plus for iPhone 7 Plus..
High quality ABS with refined polishing, good ability in steadiness and durability. 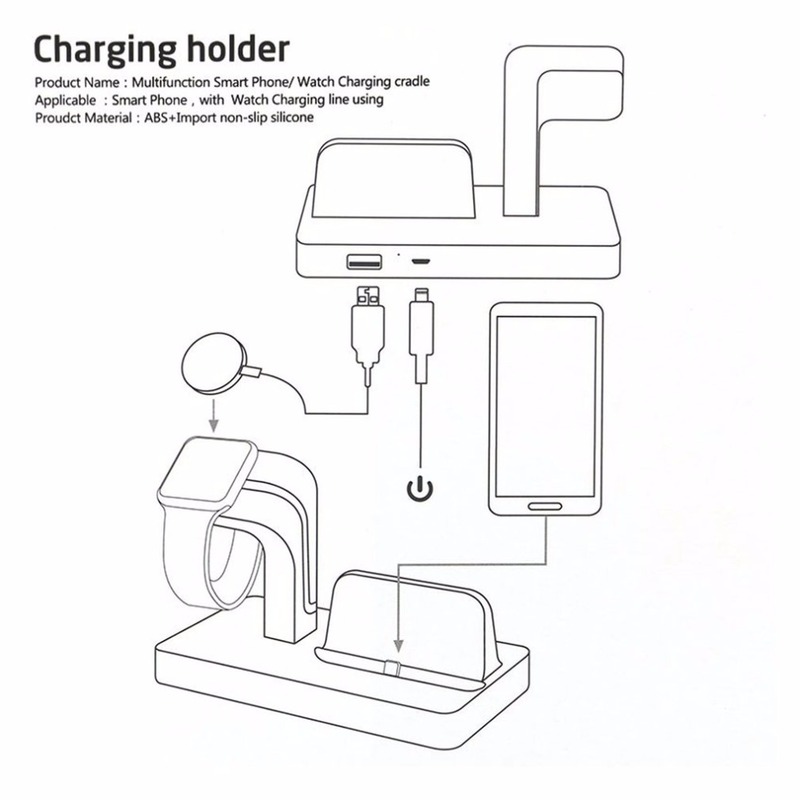 Convenient cable cutout and insert, prevent the cable from overly bending, makes everything organized. 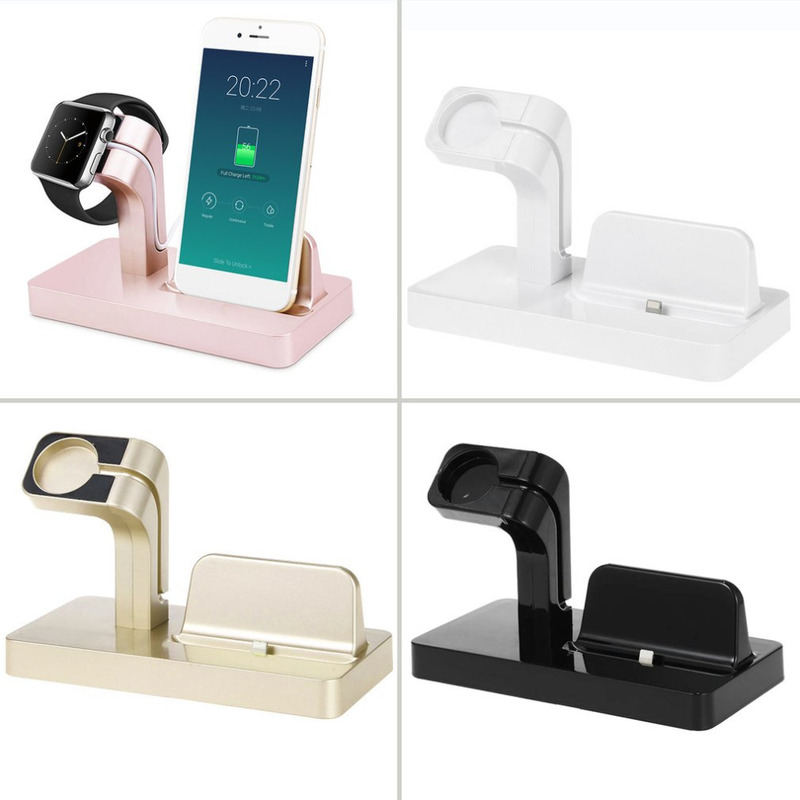 Four colors available, black, white, rose gold or gold is all your choice. 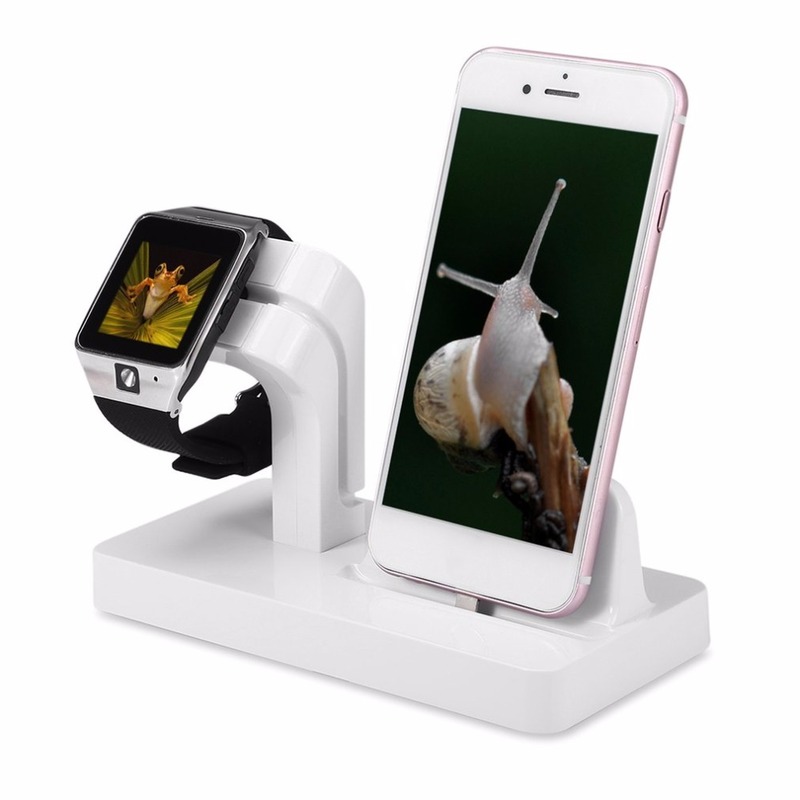 Holding your for Apple Watch and phone steadily with elegance, durability and fashion. 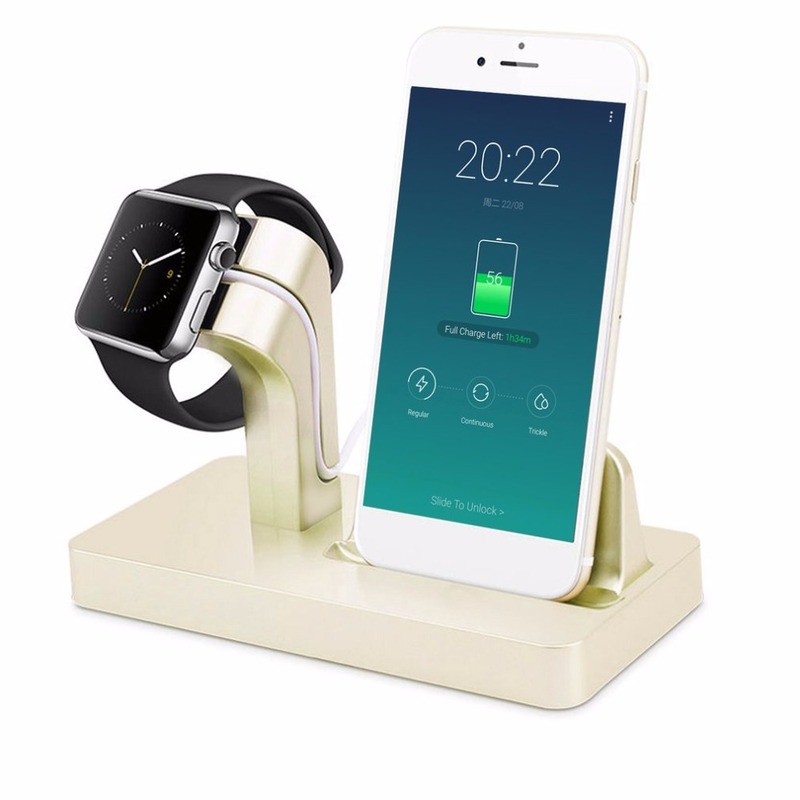 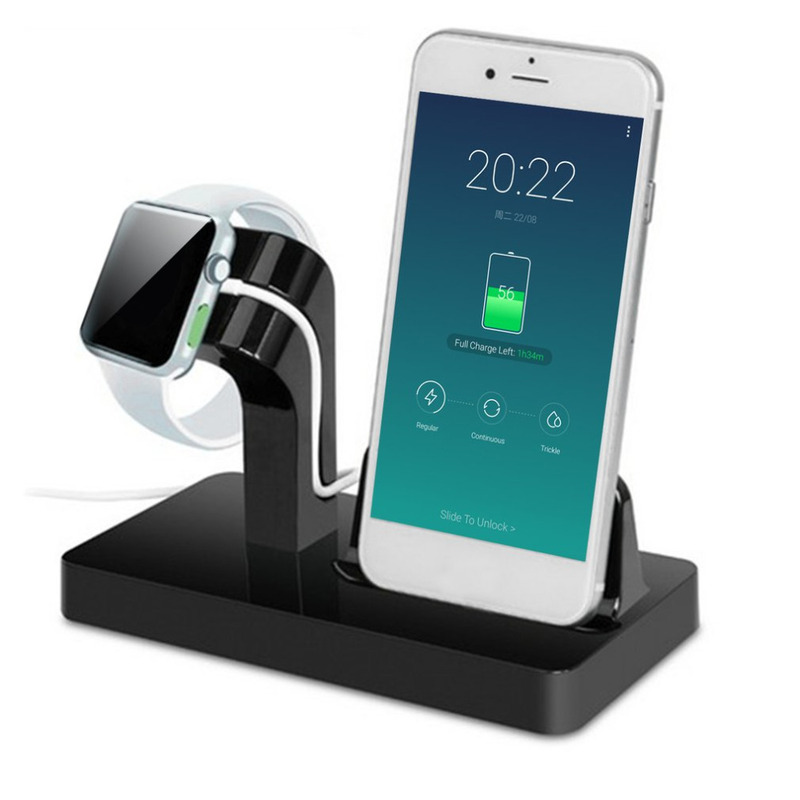 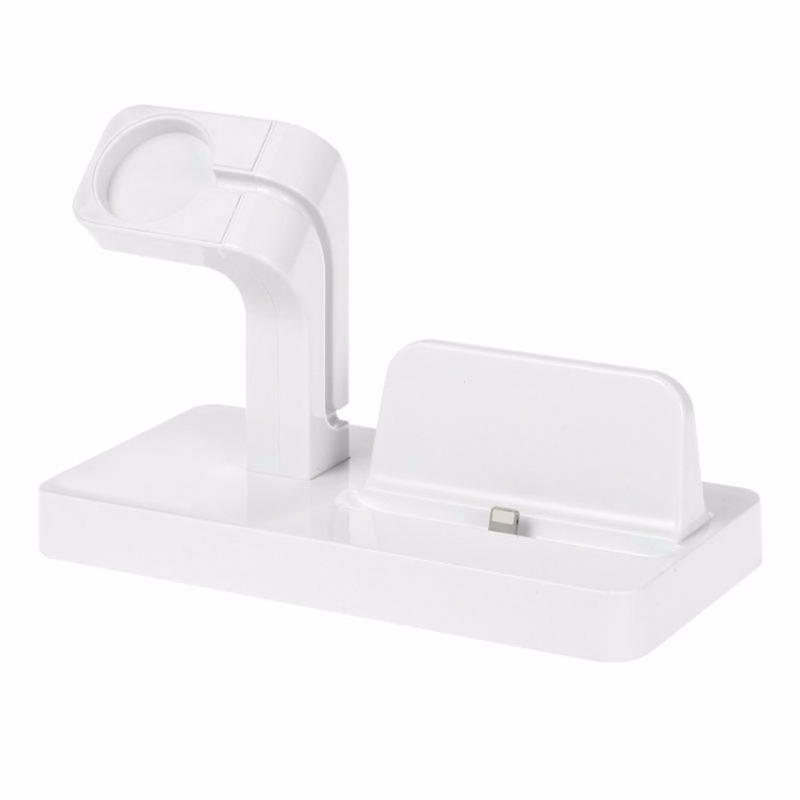 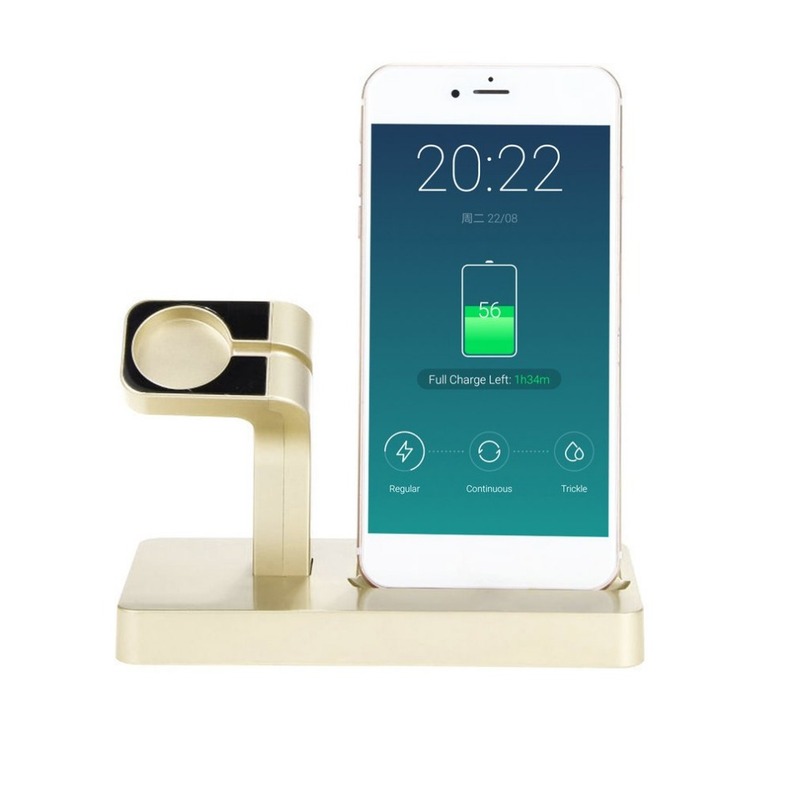 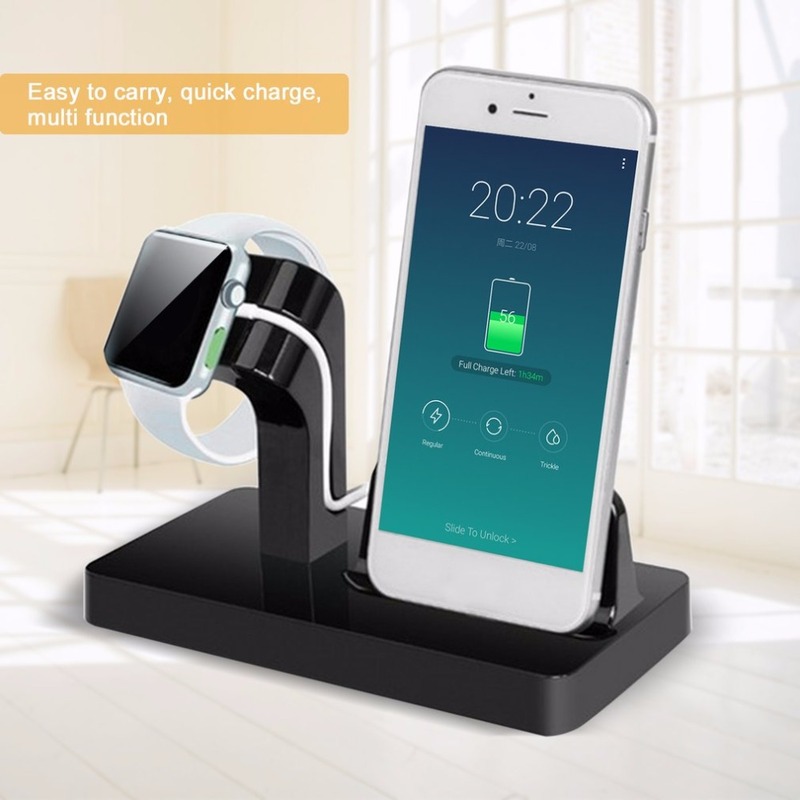 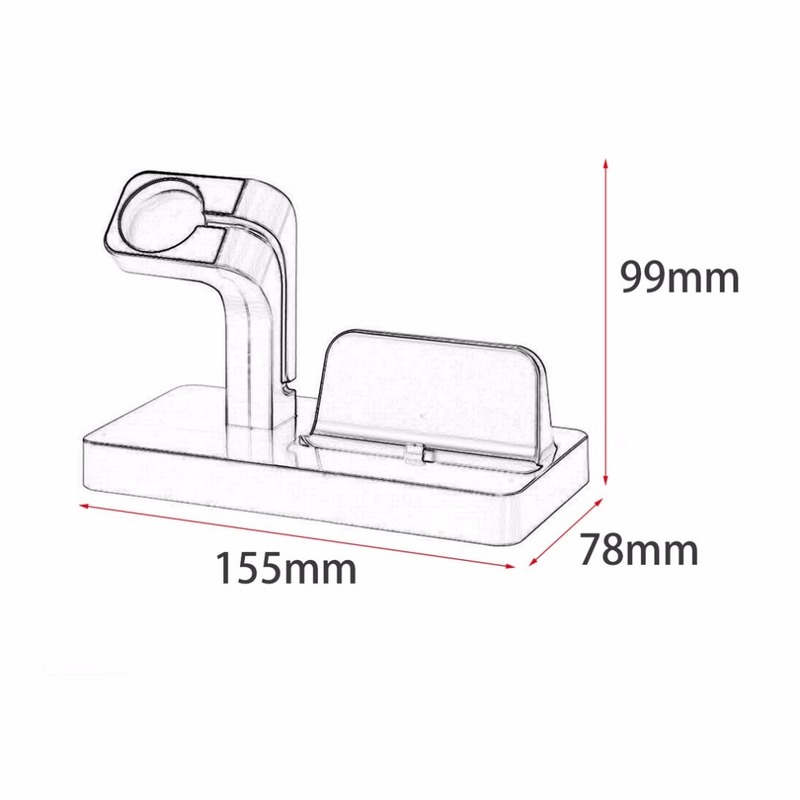 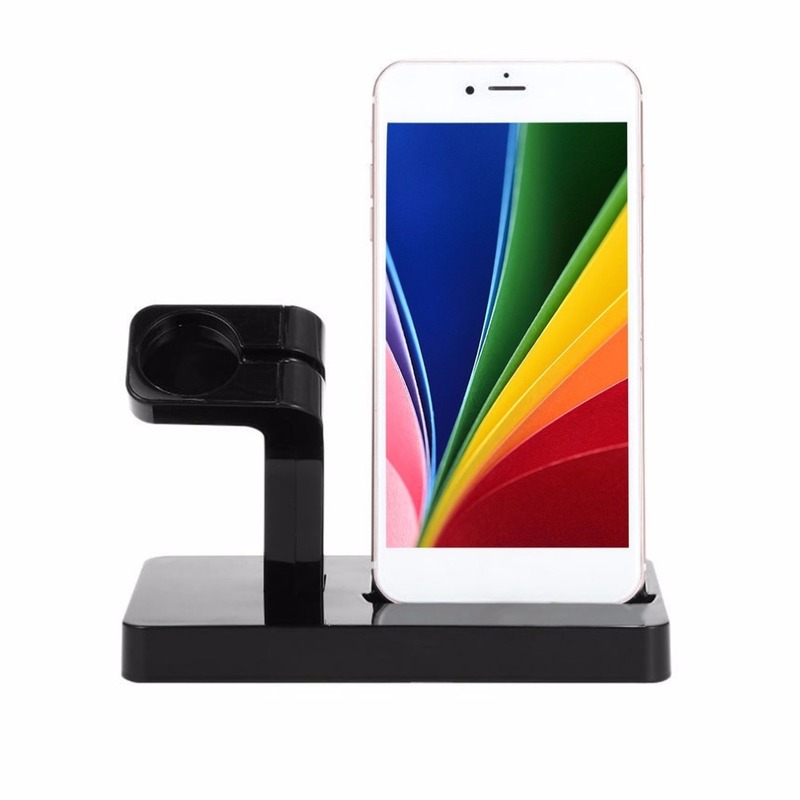 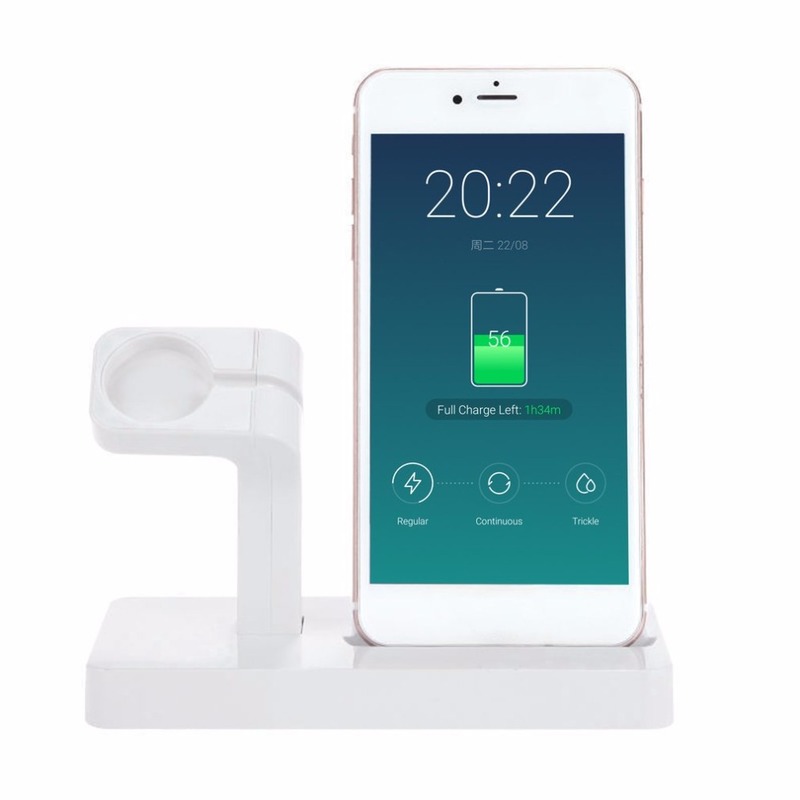 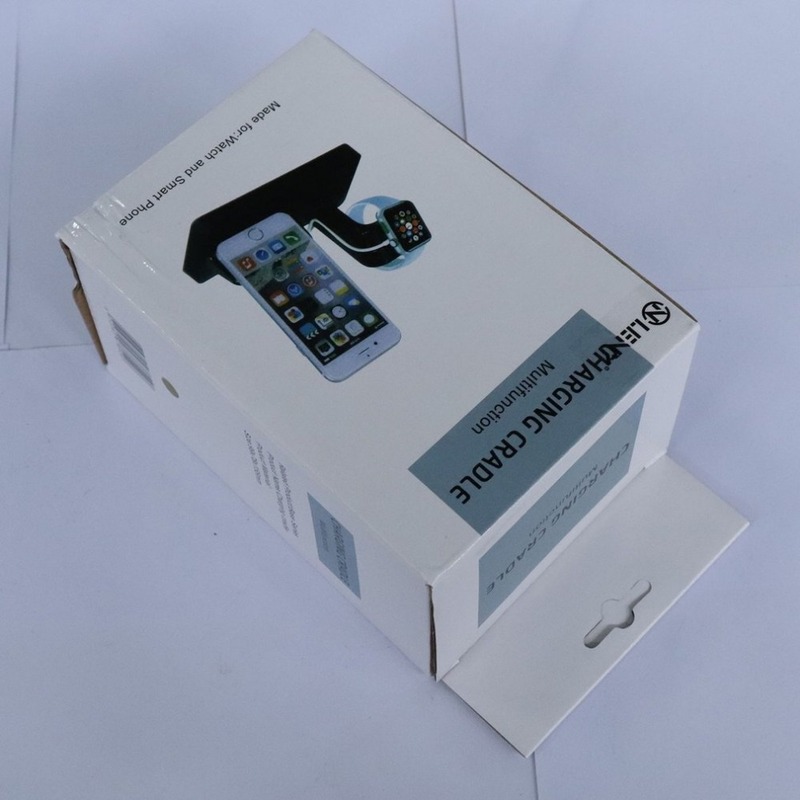 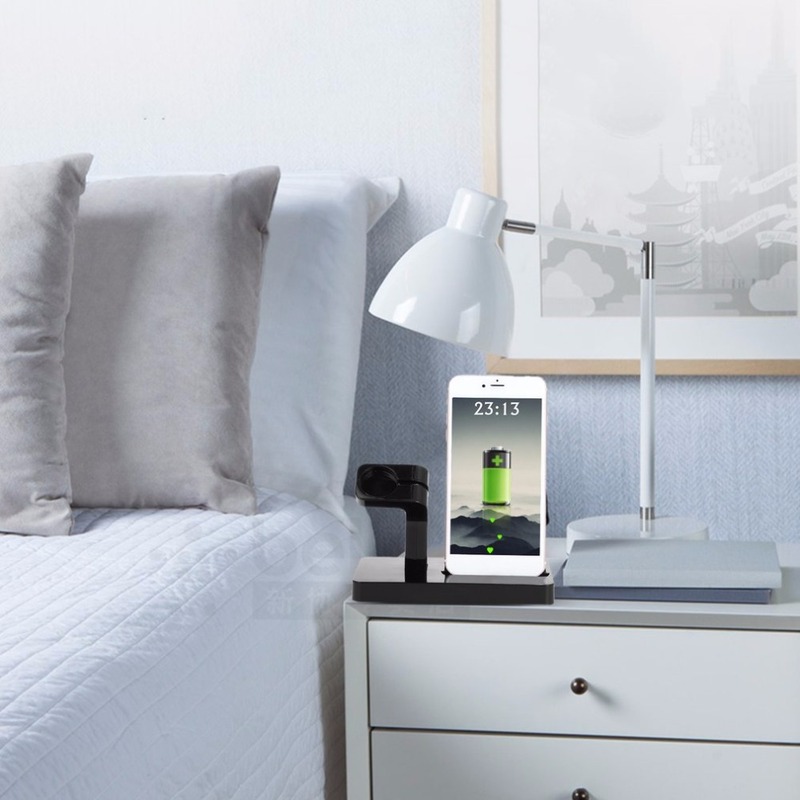 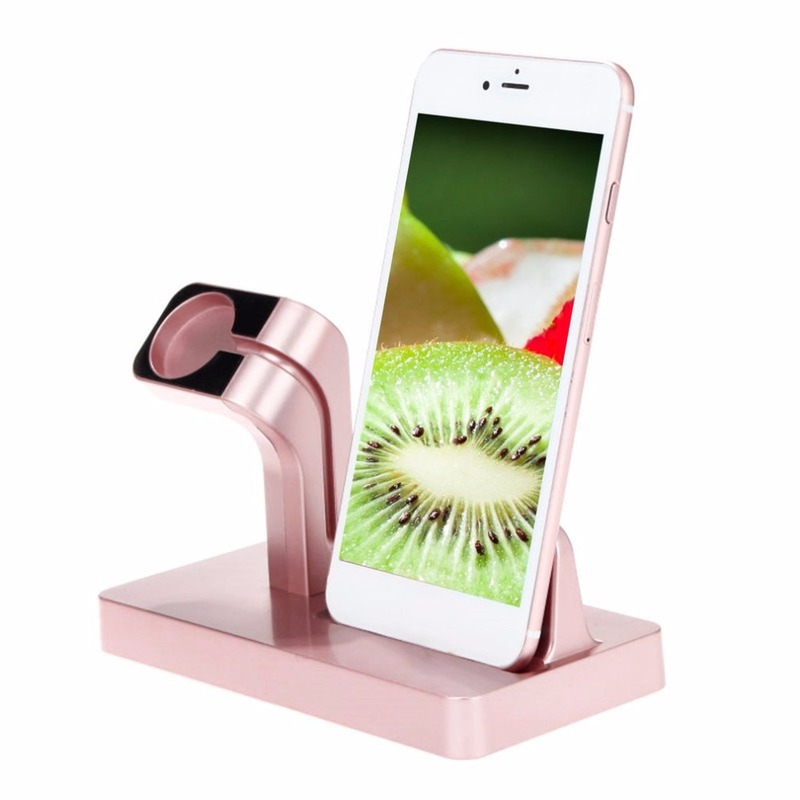 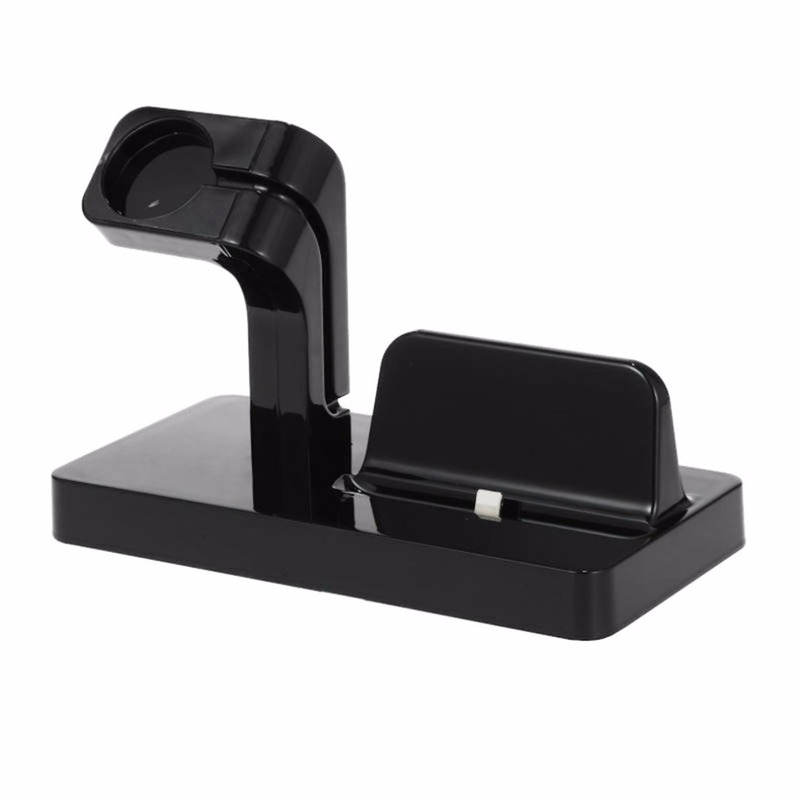 Phone charging stand for iPhone supports comfortable vertical viewing angle for facetime.